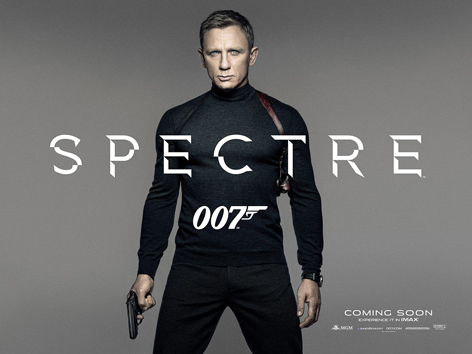 007.com released new teaser posters for SPECTRE today showing Daniel Craig as James Bond. 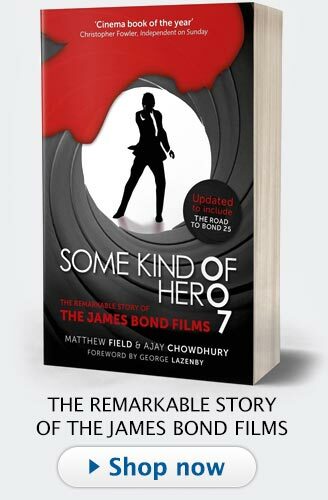 James Bond is holding his trusted Walther PPK, wears an Omega watch with NATO strap and brown leather shoulder holster. Update: He wears a N.Peal Fine Gauge Mock Turtle Neck in the color Dark Charcoal Grey, available on the N.Peal website. 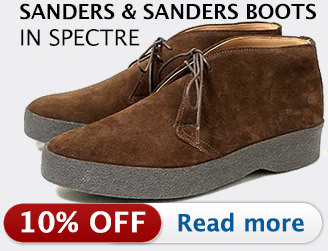 In the movie he also wears a John Varvatos jacket with this outfit and Sanders & Sanders chukka books. 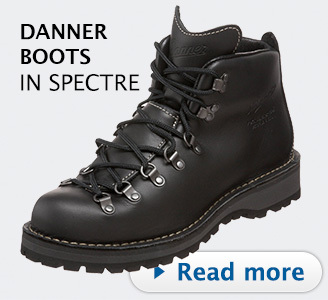 The tight dark outfit brings back the 1960s and 1970s James Bond and Steve McQueen look. The posters are also available in black and white. 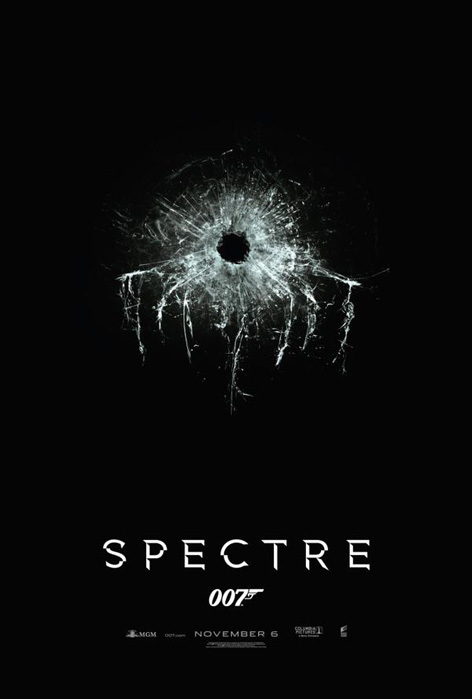 At the SPECTRE announcement in December 2014, a first poster was revealed showing a bullet hole with the subtle shape of the SPECTRE 'Octopus' logo in the cracks of the hole. This week the production is heading to Mexico to continue filming. A press conference is planned for later this week. LIVE AND LET DIE Outfit ?!?!?!? very similar..... 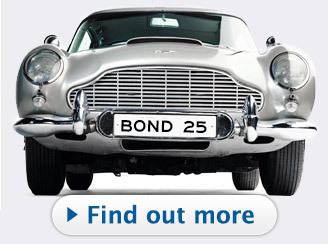 This movie is made for the fans , costumes like Thunderball uncle boots and sunglasses, nylon watch strap...... very very cool !!!!! The sweter is N peal Fine Gauge Mock Turtle Neck Sweater in French Navy Blue!!!!!!! Any idea as to the brand of polo neck? What about the trousers has anyone got any ideas on those? Anyone now how the sizing runs on N peal? Does anyone have any ideas on the holster at all?? Does anyone know the make and model of shoulder holster in the poster? Have the trousers been identified yet in this poster? They look like they are woven black with white flecks to give a similar charcoal effect to the sweater, and seem to have frogmouth pockets. 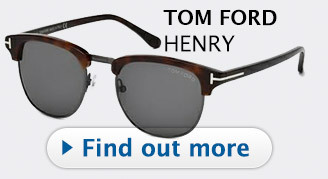 Are they Tom Ford, or something else? The holster looks a lot like the Triple K Ultra Single rig (http://www.triplek.com/Products/id/38/grp/5/prd/140/), though the leather finish is more of a dark tortoiseshell and appears to have an extra band of stitching. 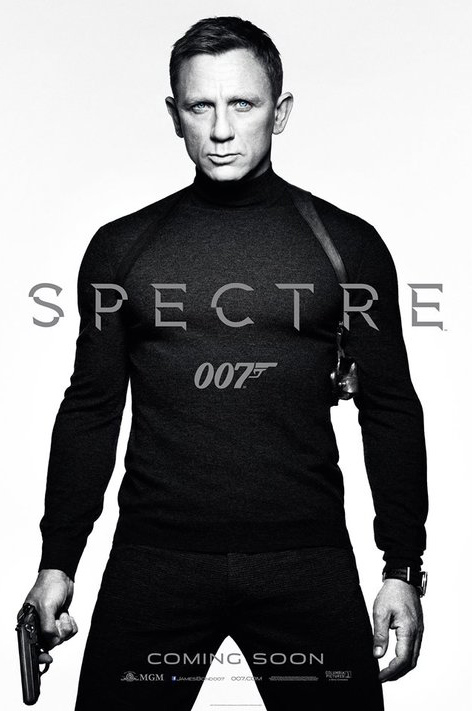 I made a trip to the N.Peal store in Burlington Arcade yesterday to pick up both pieces of SPECTRE knitwear. The cashmere really is of a superior quality (expected nothing less) and the staff in store were both very friendly and helpful. 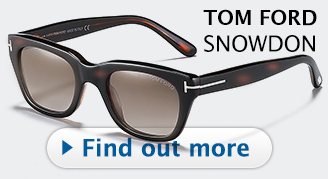 I would definitely recommend any Bond fan to grab these two items, I cannot wait to wear them coming into Autumn! Please let me know if anyone finds out the holster brand!! Has anyone found out what trousers he's wearing yet? It seems that the trousers worn in the poster are still a mystery. have looked at other related clothing lines but nothing comes close. 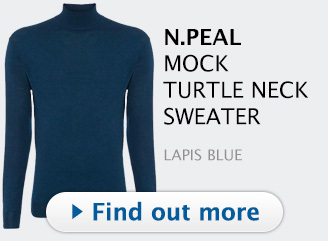 Love the N.Peal sweater. 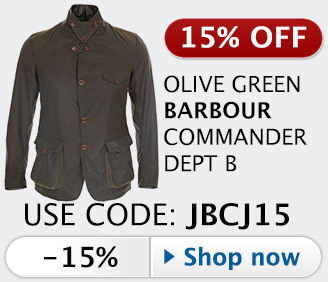 These styles seem to have no alternative relatives offering a more modest price. The trousers are by Neil Barrett. Please let me know if you're ever going to have another giveaway contest for this. I want one. Does anyone know what is on "Q's" name tag? 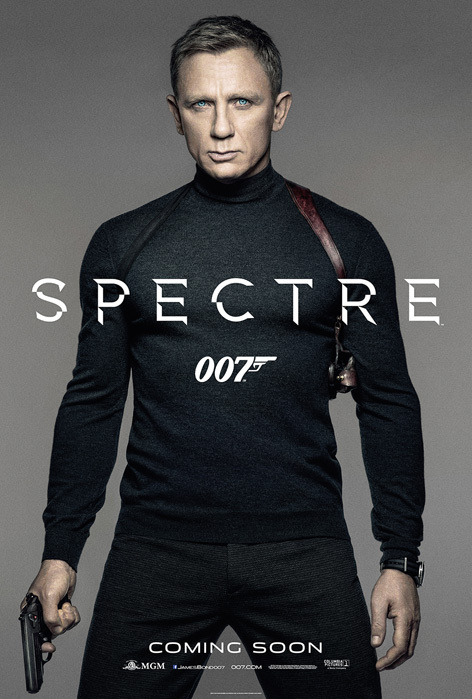 We are having a Bond Fest at work and I am dressing as Q, but would love to add the name tag to the outfit. Any help appreciated.